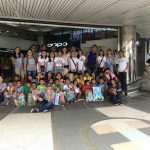 A few days ago, we received a letter from Davide Picasso, a “gen”, a young man who is part of the Focolare Movement, telling us about what he experienced in recent months, after the Genfest event that took place in Manila in July 2018. 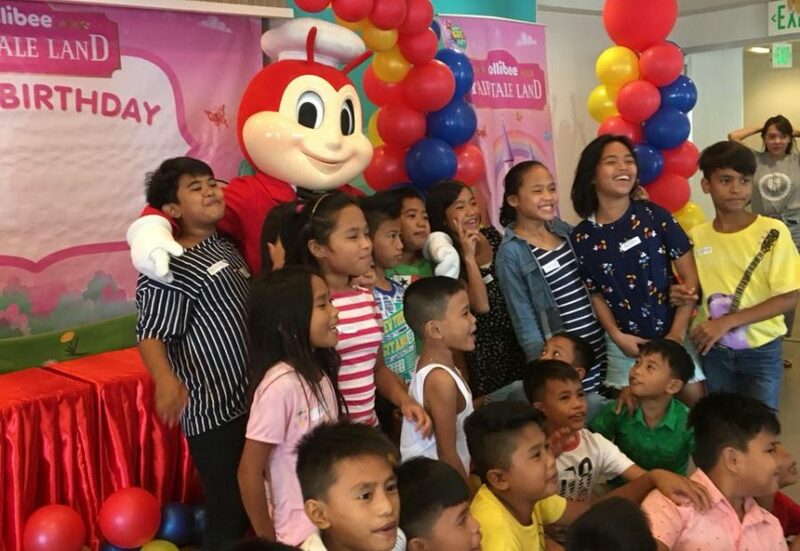 Going “Beyond all Borders”, as the title of the event indicated, he managed to weave and maintain a long-distance bond with the youth of the city of Dumaguete, on the island of Negros, which also resulted in an amazing graduation gift. Below is his letter. «My name is Davide, I am 22 years old, and I am originally from Genoa, although I have been living in Trent since September 2018 for school. I wanted to share with you an experience that I have been living since last July. In the summer of 2018, I participated in the Genfest whose theme was “Beyond All Borders“, which was held in the Philippines. With the group of young people from Italy we arrived in Dumaguete, a small town in southern Philippines, on the island of Negros, a week before the event. 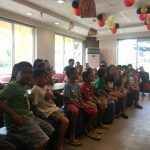 This “pre Genfest” experience was wanted and designed to get us into the heart of Asian culture, to get to know it in depth, entering into contexts with a “smaller” number of people rather than the thousands of young people coming to Manila. In Dumaguete, those of us who came from Italy gathered with other people from Brazil, the United States, Mexico, Russia, Hungary, Portugal and many other countries. 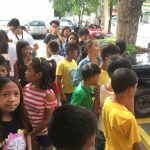 We were welcomed by the gen and the community of Dumaguete with an indescribable joy. During that time, we had a chance to create a strong friendship with them and with each other, united by the experience that we were lucky enough to live together. In the days we spent there, we learned some features of the local culture, from Filipino dances to traditional games, combining this with opportunities to go “beyond the borders”: planting mangroves to restore the local flora, removing the constantly increasing garbage and maritime pollution from beaches and turning the waste into paintings or works of art; or going to visit a local hospital (which perhaps is better described as a medical aid center), to live together with the assisted people, in very precarious health conditions and awaiting a visit from the doctor (who generally passes by once a month); or spending a different day than usual, by playing games, singing songs or simply providing company. During that week I also had the opportunity to experience something special and unique. During some spare time, we went to a beach to play volleyball with other youth. There, lots of kids and children, intrigued by our presence, started to wonder who we were, what our names were, introducing themselves, and asking us to play with them. Thus, I experienced their “material” poverty firsthand but, at the same time, I experienced the great wealth of soul and life that characterizes them, which struck me and made me reflect on one thing: in Italy, or more generally in the West, we are always willing to complain about every little thing even if we have means that other parts of the world can’t even imagine, despite having “everything”! We laughed, played and joked around with them for a few hours, until the moment they left, they greeted us one by one, asking us to take pictures with them and if we could come back. 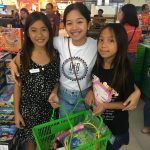 This was not possible for us because we had to leave for Manila for the second part of the Genfest, but that experience left me an incredible joy inside and gave me the opportunity to reflect on my daily life. Back in Italy, I shared this experience with many of my friends. The more I talked about it, the more I felt I wanted to do something to give back everything I had received. In September I graduated from university and after my thesis discussion I planned a party with my friends, to celebrate together an important moment for me. On the evening of the party I thought of preparing a box where the guests, or whoever wanted to, could make a donation to be sent to the Philippines. 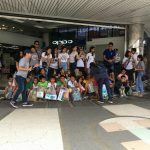 I sent the sum, a total of €402.90, collected on the evening of my party and in the following days, to Dumaguete and it got to those children with whom we had played volleyball. 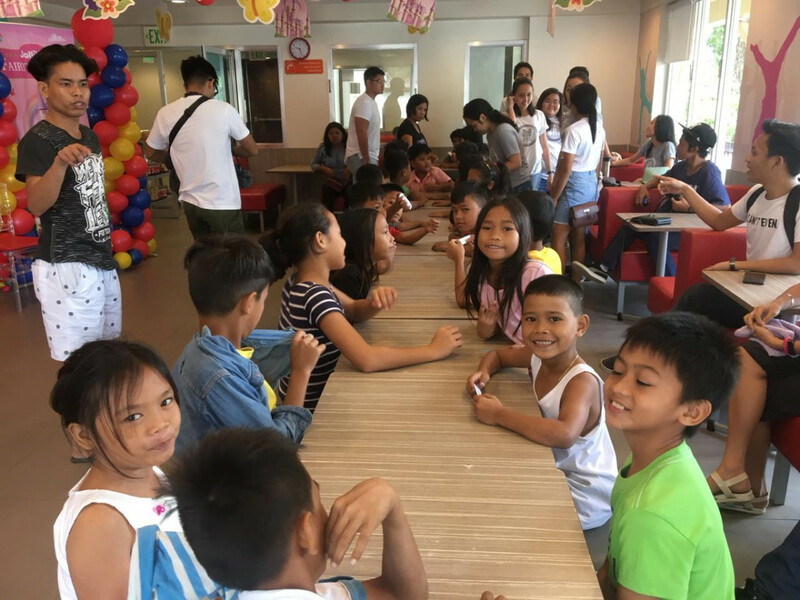 The youth and the Focolare community of Dumaguete organized a day in which they brought all those children to the Jollibee (which is like McDonald’s, but for them it is one of the best places to eat), where they ate, danced, sang and played together. 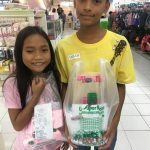 Afterwards, they took them shopping, making them choose what to buy based on their desires or needs: some chose outfits, some chose shoes (which was unthinkable for them who, in fact, always walked around only in flip-flops, if not barefoot), some wanted a balloon, some got toy cars, etc. 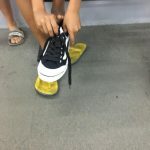 A child who bought and wore shoes for the first time called me a “saint“, because as James, a member of the community of Dumaguete, explained to me, to receive such a great gift was something “holy”. 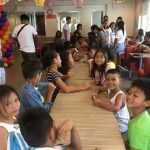 Some of them, on the other hand, did not even want to spend everything they had been given, because it seemed too much, so much so that one of these children asked if she could take part of her money home, in order to eat something with her family in the following days. The amount she wanted to take home was the equivalent of about 6 euros and this little girl explained, again to James, that with that money she would eat for at least another three days. 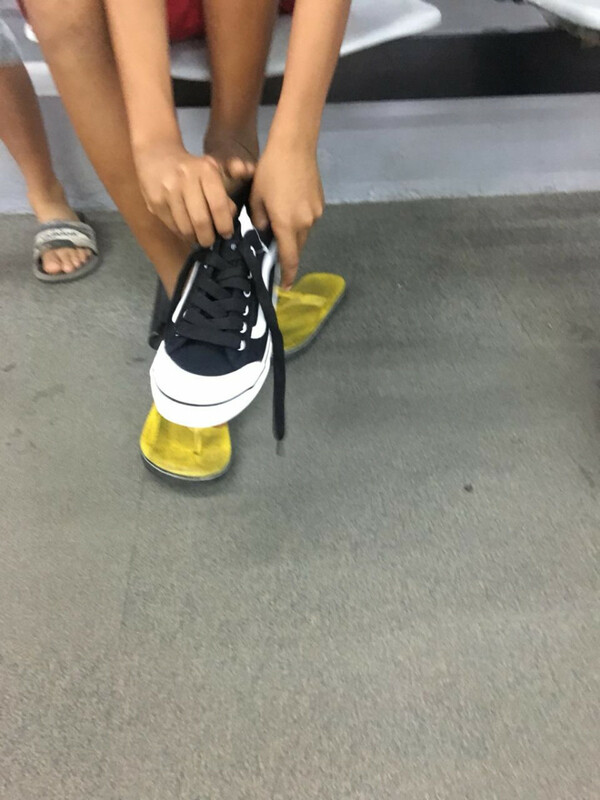 These small personal experiences, as you can imagine, have left me breathless and can give an idea of how much poverty is present in the Philippines. At the end of the day, everyone took a nice picture, along with the youth who helped plan the day. Many among them searched for and found me on Facebook and continue to send messages by writing “Grazie (Thank you) Davide“, a phrase that the gen of Dumaguete wanted to teach them. 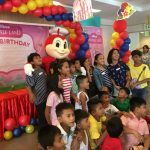 So, as they thanked me, I am here to thank everyone who helped make this day possible, and to give joy and smiles, like a late Christmas, to all those children. Thank you so much! Thank you to those who are reading this letter and a big thank you also to those who, hearing about this experience, thought to propose it again at their birthday or graduation parties, also for other causes or for other people in difficulty. It is wonderful to know that today the will to do good and to bring positive and hopeful messages is still alive. Starting from the smallest things, from our everyday lives, it takes very little to do good!».